For two, it is simply nicer! We are happy about our second a&o in Venice, which has been welcoming guests since mid-February! Close to the central station and with the best connection to the transport network, you can reach many important sights of the city in just 15 minutes. 280 modern furnished single, double, family and shared rooms offer backpackers, couples, families and groups equally high comfort at a low price. Of course we serve as standard with 24-hour service, a snack bar and free highspeed Wi-Fi. In addition to meeting rooms and a coworking space, we offer a laundry and a kitchen for guests as well as entertainment such as billards and for the little ones a play area. Book online now and discover Venice soon! From October 2019 in the latest a&o design! 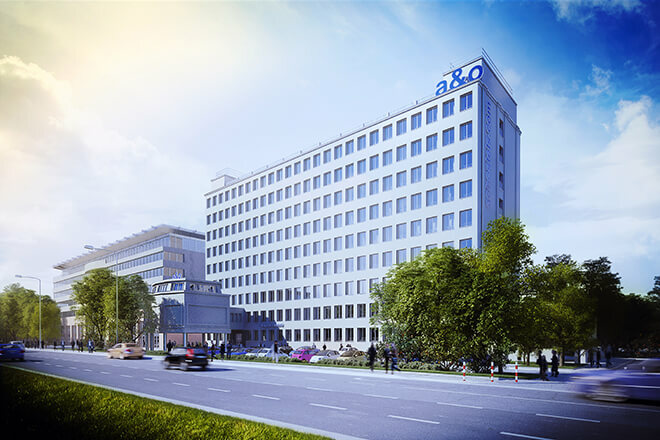 Our first a&o in Poland will be available from autumn 2019 in its capital, Warsaw. 200 single, double, family and shared rooms with a total of 650 beds offer high comfort at the usual low price. Shopping, restaurants, cafes and bars, museums and the old town are just a stone's throw away. 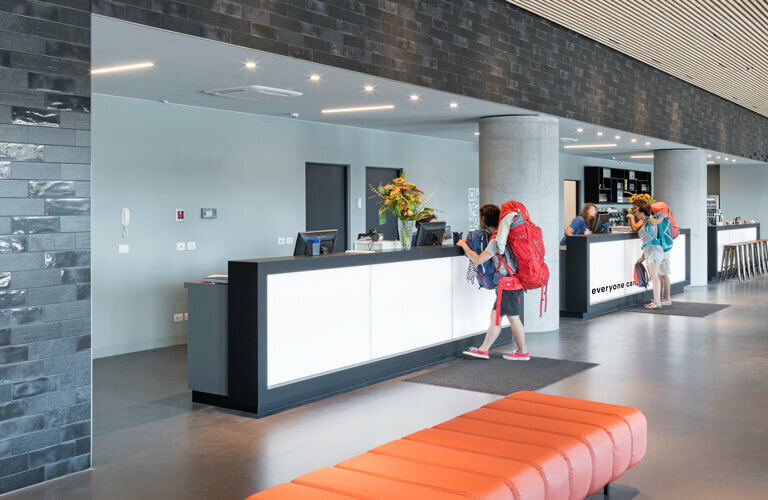 The hostel offers friendly service, snacks and drinks around the clock. Our Wi-Fi ist fast and free througout the house. For entertainment is provided with billiards and tabletop football. Our small guests enjoy the play area. Also: laundry and guest kitchen, coworking space and parking spaces. Book now and be among our first guests!